Rendering of the Landsat 8 satellite. The Landsat 9 satellite will be nearly identical. Both are based on Northrop Grumman’s LEOStar-3 spacecraft bus platform design. Mar 15, 2018 • Northrop Grumman has been given approval to begin building the NASA Landsat 9 spacecraft after completing a comprehensive design review of the mission. Northrop Grumman is designing and manufacturing the satellite, integrating two science instruments, and supporting launch, early orbit operations and on-orbit check-out of the observatory. Representatives from NASA and Northrop Grumman successfully completed a rigorous Critical Design Review (CDR) demonstrating that the program meets all technical performance measures and requirements. The execution of the design review enables the program to effectively transition into manufacturing and prepare for the assembly, test and launch operations phase of the mission. The Landsat 9 spacecraft will be manufactured and tested at the company’s Gilbert, Arizona, facility and is currently planned for launch in late 2020. The spacecraft will be operated by the U.S. Geological Survey once in orbit. Landsat 9 is based on Northrop Grumman’s flight-proven LEOStar-3™ spacecraft bus platform, the same that was successfully used on Landsat 8. 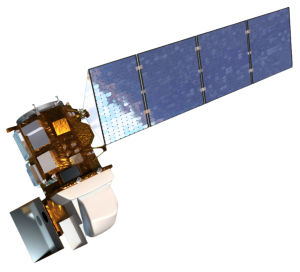 The Ice, Cloud and Land Elevation satellite (ICESat-2) and the Joint Polar Satellite System (JPSS-2) spacecraft are also based on the LEOStar-3 bus platform and currently in production for NASA at Northrop Grumman’s Gilbert facility.